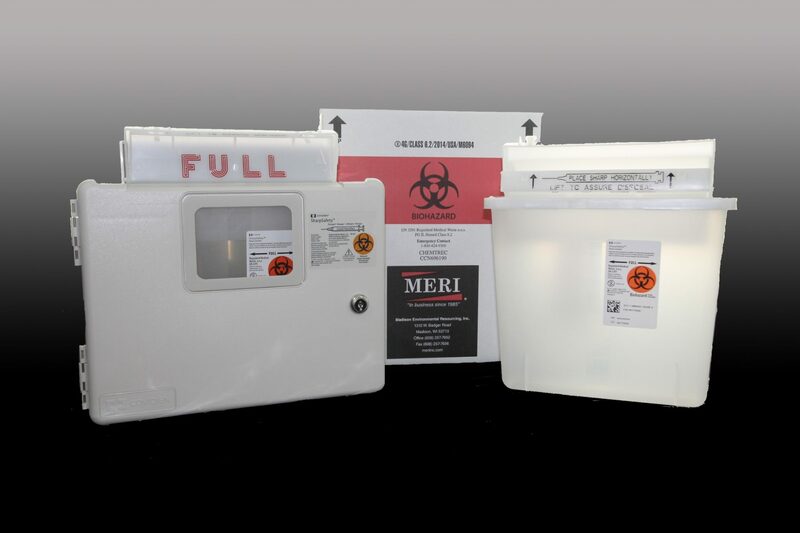 MERI’s Medical Waste Mailback Kits are convenient, cost-effective and compliant for the safe disposal of Regulated Medical Waste. 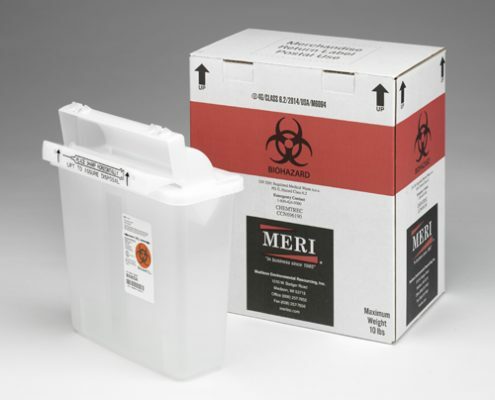 USPS and DOT certified, these Sharps and Medical Waste Disposal Mailback Containers feature everything for one price, including the rigid biohazard container, shipping materials, pre-paid postage, and document noting proper destruction of your waste. 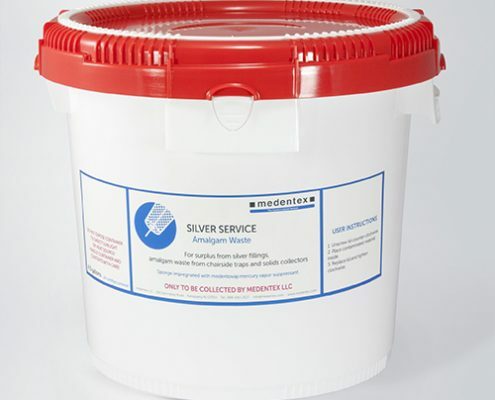 When your container is full, simply drop in the pre-paid postage box at any U.S. Post Office. 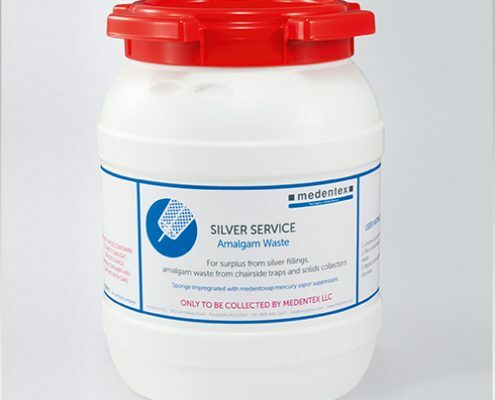 Through our partnership with medentex, we also have a way for you to conveniently recycle amalgam waste. 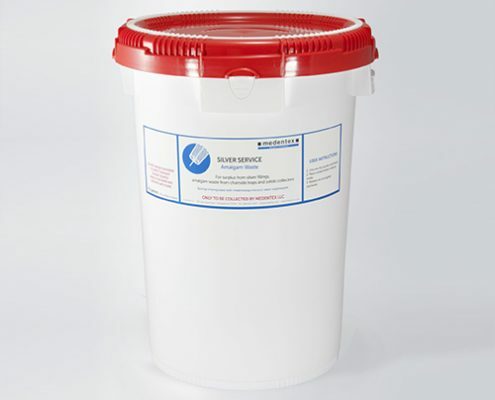 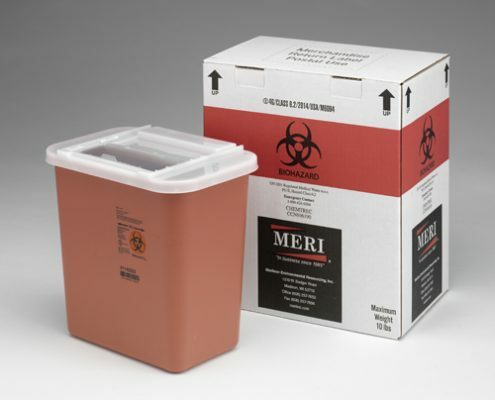 MERI offers a variety of sizes to meet your needs, including 1 quart, 1.5 quart, 5 quart, 2 gallon or two, 1 gallon red biohazard containers. 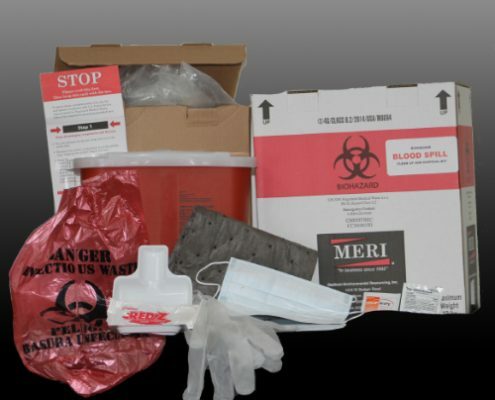 Purchase mailback kits individually or by the case. 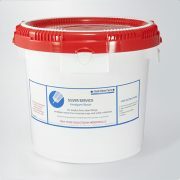 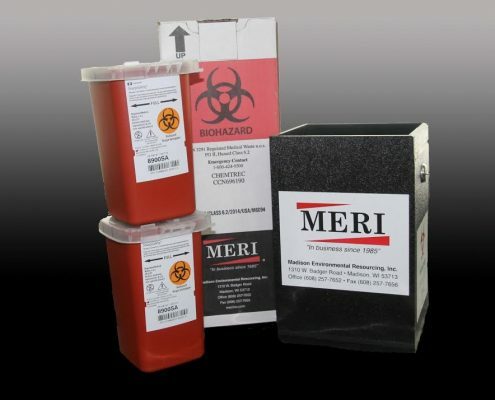 Safely destroy trace chemotherapy waste using MERI’s two gallon yellow trace chemotherapy mailback kit. 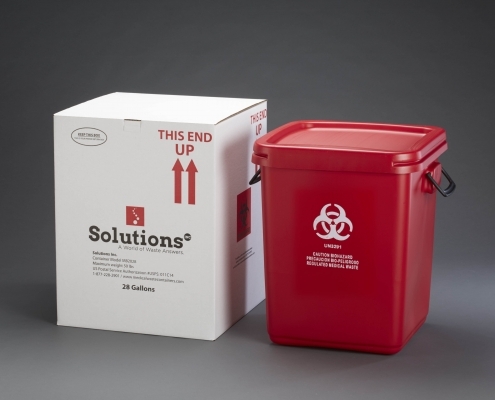 Easy mailback solution for clinics, pharmacies, infusion companies and in-home care. 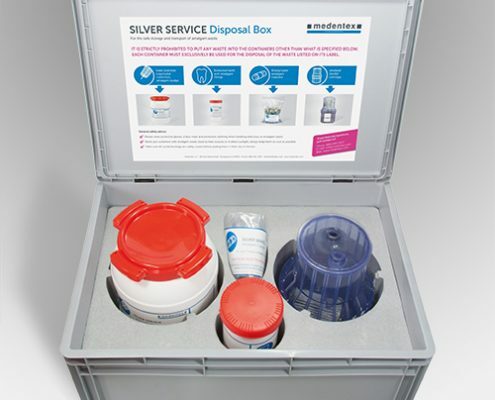 Provide a safe place for employees and customers to dispose their needles after a diabetic or other injectable medicines. 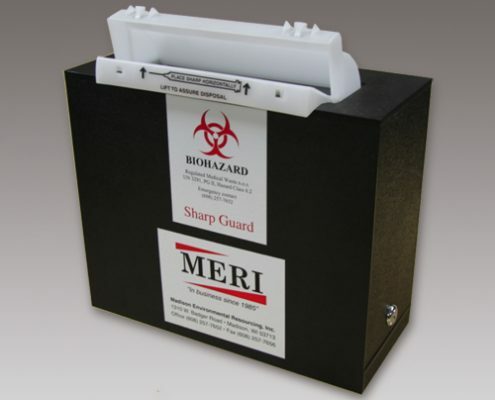 MERI’s rugged, 5 Quart or 1 Quart lockable Sharps Guard wall boxes work with MERI’s mailback kits. 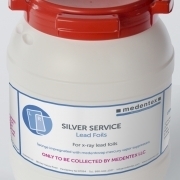 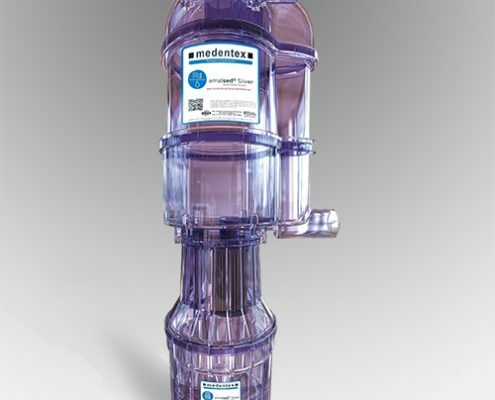 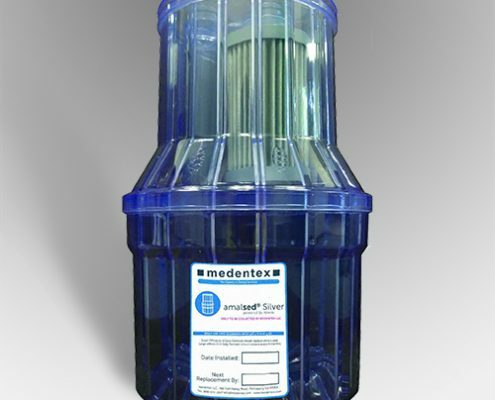 Powered by medentex, MERI offers an array of amalgam waste disposal mailback containers, as well as a separator, cartridge and toothbox for amalgam-laden teeth. 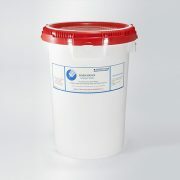 Buy a separator and get a collection of containers free! 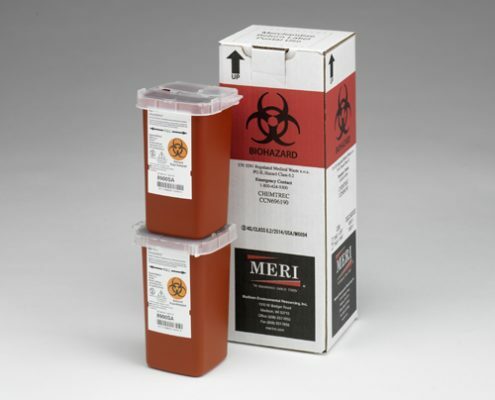 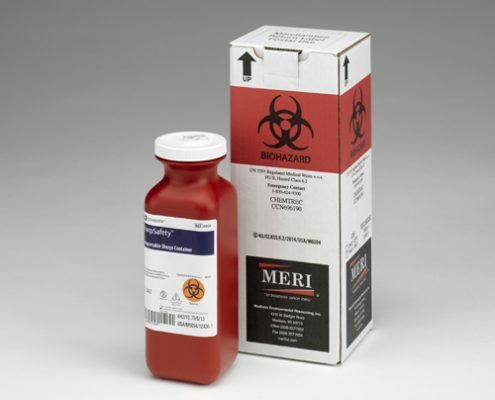 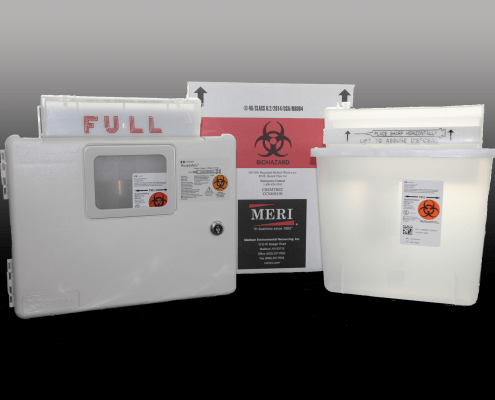 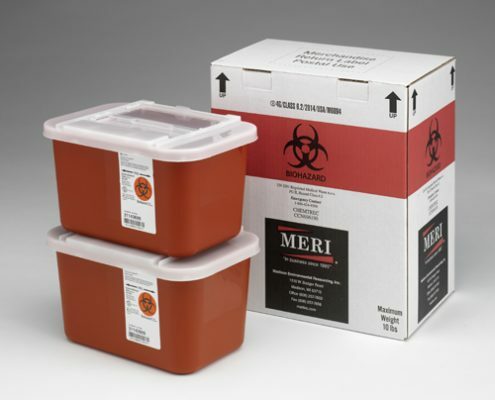 Biohazard materials that can go inside MERI’s red rigid containers include: sharps, needles, lancets (fingerstick devices), syringes, auto injectors, scalpel blades, pipettes and discarded glass or rigid vials containing infectious agents. 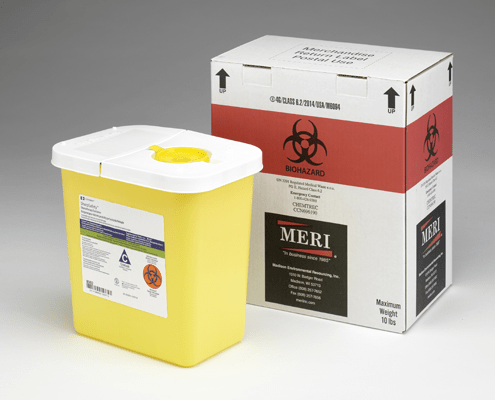 Safely destroy trace chemotherapy waste using MERI’s two gallon yellow trace chemotherapy mailback kit. 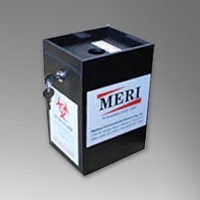 Amalgam Waste can be recycled through MERI using medentex’s array of amalgam waste disposal mailback containers. 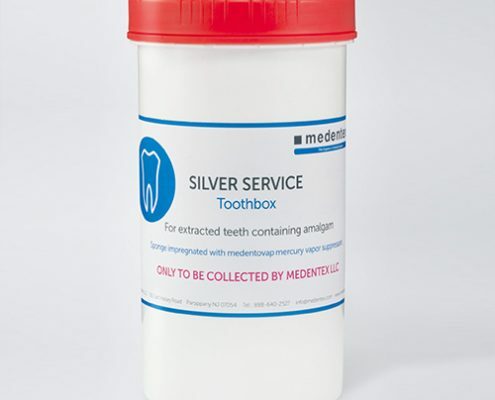 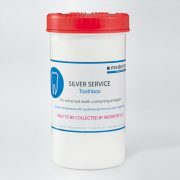 In addition, MERI offers a medentex separator, cartridge and toothbox for amalgam-laden teeth. 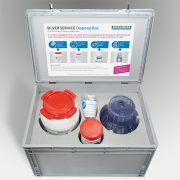 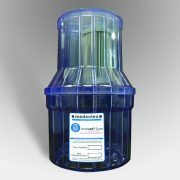 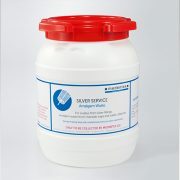 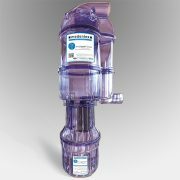 Buy a medentex amalgam separator through MERI and get a collection of amalgam waste recycling containers free!